Tell us a little about yourself - what you are breeding, how, why, and where. Present your fish for critique here! Not for the faint of heart. 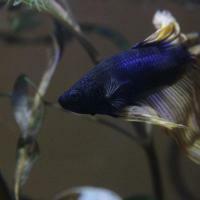 A collection of useful threads about what's entailed in showing bettas, how they are judged and the like. Angelfish, dwarfs, rift lakes... they're all in here. Want help with your tank? Need stocking suggestions? Info on your new livebearers or barbs? This is the perfect place to find answers to all of your fishy questions! Need help with ailing fish? Maybe suggestions on quarantine? Plants, driftwood, substrates, and all manner of bubbling ornaments. This is the place to discuss aquatic plants and other ways to make your tank beautiful. For all your fish and tank photos! Experiments, Discussion & Testing of Theories. Lets discover the future together! Are you buying a fish? Are you selling a tank? Are you importing the best of the best? Come in and have a look at what is on offer! Please let us know here about your aquarium society's upcoming events, meetings and shows!